We mourn the death of former Texas Gov. Mark White and pause to give thanks to an honorable public servant who did honor to the state’s educational system. White, who died Saturday at his home, is scheduled to have a funeral in Houston today before his body is to be taken to Austin where it will lay in state in the capitol rotunda on Thursday before a burial at the nearby Texas State Cemetery. “Mark cared deeply about Texas, and he devoted his life to making our state even better,” Gov. Greg Abbott said shortly after the news of White’s death. What makes Abbott’s statement so extraordinary in the current political climate is that it comes from a Republican speaking in laudatory terms about a Democrat. Part of what makes Mark White’s story interesting is that his political career portended the shift from Democrats in power in Texas to Republicans. White ran against and defeated Bill Clements to become governor after Clements stunned the state by becoming the first Republican governor in Texas since the post-Civil War era of Reconstruction. Clements went on to defeat White and reclaim his seat, but not before White was able to accomplish some extraordinary things in Texas — particularly as it relates to education. Perhaps the most well-known part of his legacy was the implementation of the “no-pass, no-play rule” in high school athletics. While that law extends to other extracurricular activities, it was athletics that was the target of this legislation and which made the passage of the law so extraordinary. 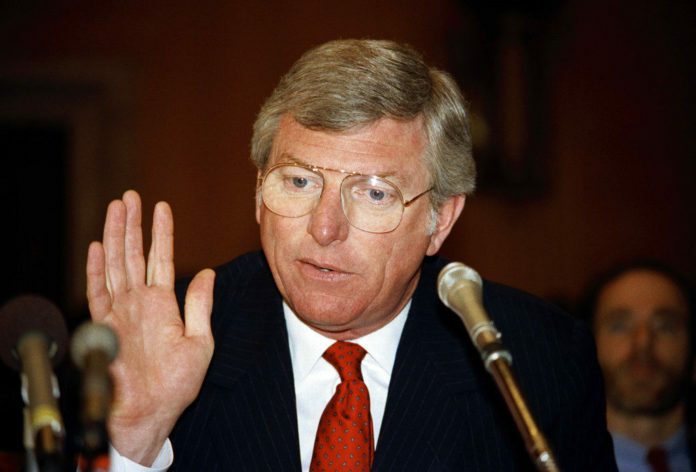 It came as the result of a recommendation made by a bipartisan commission examining education in Texas and headed by a then not widely known businessman named Ross Perot. Its passage took tremendous political courage because it upended a culture in Texas that seemed sacrosanct: high school football. In fact, passage of this legislation invited a lawsuit, which White ultimately won in court only to lose in the court of public opinion. And that was another part of White’s legacy: a gentle pragmatism. After his defeat for re-election, White told the Texas Legislature to just move on as it related to the fight over no-pass, no-play. The subtext of his message was that he suffered the political consequences of passage of the law and people would eventually accept the cultural change that such a landmark piece of legislation would bring to the state. No-pass, no-play remains the law of the land and the outcry over its implementation has died down, replaced by a steadfast commitment to high school athletes and others involved in extracurricular activities to get academic help if they are failing a class instead of decrying the law itself. At a time like now, perhaps the greatest tributes come from those who knew him best. Texas state Sen. Juan “Chuy” Hinojosa, D-McAllen, was one.